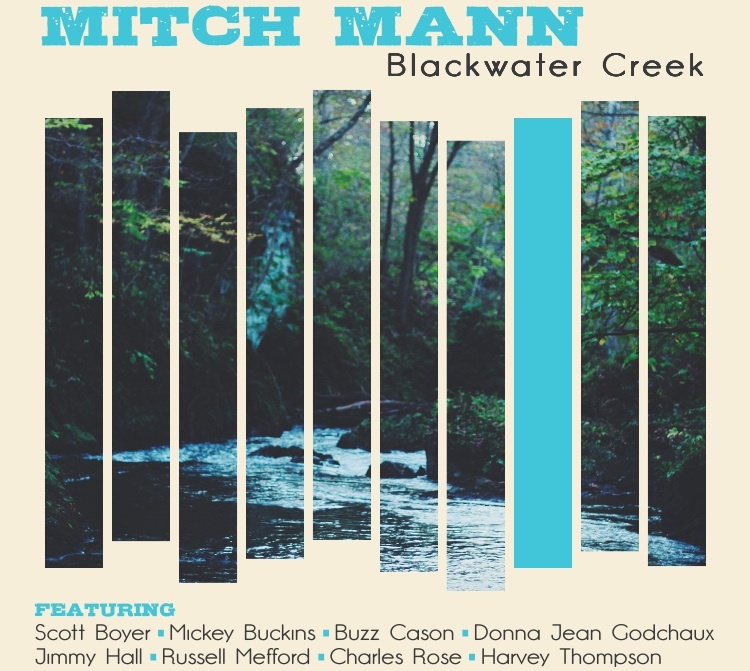 I just received the newest release, Blackwater Creek, from Mitch Mann and it's a cool acoustic ride. Opening with traditional, Goin' Down The Road Feeling Bad, Mitch Mann leads the way on acoustic guitar and vocal joined by Donna G and Russell Mefford sounding quite a bit like Delaney and Bonnie. On early century sounding track, Baby Don't Forget Mann, joined by Andreas Werner on Harmonium, gets a nice toe tapper rolling. Jimmy Hall brings his favorite harp on Crows, an acoustic boogie. Very cool! A great slow acoustic style version of WC Handy's St. Louis Blues, features Charles Rose on trombone. There isn't a lot of music that crosses my desk that actually features extended trombone solos so this is a nice treat. Finger picked ballad, Make This Last Minute Last, is a really nice vocal duet with Scott Boyer. More Thank I Could Ever Show is a straight up pop track just waiting for it's audience. Catchy melody and nice harmonies make this the commercial pick of the release. Sometimes A Rock has a bit of an Everlys feel in duet with Werner. Harvey Thompson steps forward with a throaty sax solo capping it off. Title track, Blackwater Creek, is a slick, almost classically styled acoustic instrumental and certainly my favorite on the release. Acoustic rocker, Detour You, is begging for a 4 piece electric make over, even with Mann's nice acoustic guitar solo. It has all of the characteristics of a bar classic. Rural country classic styling on Hold Her While You Got Her, makes it another favorite with it's fresh approach and springy attack. Jake Berry's Tom Clark, an Arlo Guthrie style story telling ballad. Solid. It's Time has an almost spiritual feel with warm backing vocals by Buzz Cason and percussion by Mickey Buckins. Wrapping the release is a nicely written, Good Things. Cleanly articulated acoustic guitar work and blended vocals of Mann and Godchaux make for a nice conclusion to a soothing acoustic set.